Producer Chris Hein has brought his thirty years of sampling experience into this masterpiece, giving the user maximum flexibility, highest level of customization and benefit in use. For the EXtended Version Chris Hein pushed the limits of Kontakt scripting and modeling to power the most realistic and dynamic brass collection ever seen. While the original library featured nine instruments, Chris Hein Orchestral Brass EXtended comes with twelve instruments in total. Included are all nine original instruments plus three additional instruments, six ensemble instrument patches, and two effects articulation patches. All in all, Chris Hein Orchestral Brass EXtended contains 20 GB of additional content – more than twice as much as the original library and over 43,000 new samples. 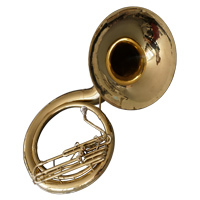 In fact, these three Low Brass Instruments have more articulations and samples than the original Brass Instruments – there are 24 articulations in total for each of the Tuba, Sousaphone and Euphonium. 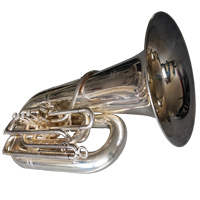 Note-Head Variations – Changing the Note-head variations has always been a standout feature of Chris Hein libraries, and with Orchestral Brass EXtended the number of different attack articulations increases from 6 to 12. This is the easiest way to bring more character, variations and nuance to your brass performances. Instantly switch between all versions of clean or dirty attacks by just moving the Note-Head fader. Simulated Mute Controls – The simulated mute controls inside Orchestral Brass EXtended are effective, realistic and first and foremost lots of fun. Because they’re modelled, rather than sampled, Orchestral Brass EXtended consists of a reasonable size without multi-sampling every different type of mute. All the EXtended instruments are armed with the mute modelling, accessible from the front panel. 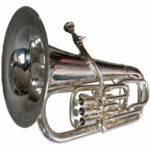 Included are five different Mutes: Bucket, Cup, Harmon, Straight, and Stop mute. True Legato – The instruments of Chris Hein Orchestral Brass Complete offer true legato. The corresponding in-depth recordings and edits result in unexpectedly realistic sounds with perfect note-transitions. At the same time you can expand these realistic articulations by additional, artificially inserted legatos. Perfect Dynamic Transitions thanks to Phase Alignment – All samples were fully aligned in phase. Accordingly, the instruments offer perfect seamless transitions of dynamic layers without sonic degradation. The custom-tailored user-interface for Kontakt Player not only offers numerous functions to adapt the library’s sound character and articulations but also provides immense configuration choices to live up to specific demands and workflows. At the same time, you can effectively play the library without any deep edits. Pre-programmed key-switch-presets allow fast tryouts of all available types. Thanks to four “Dynamic Modes“, the “Note-Head Designer“, “Key-Vibrato“, “Hot-Keys” and the revolutionary concept of articulation-presets, the user-interface will give you the impression to really play these instruments live. Inside Orchestral Brass EXtended the playback engine received a few tweaks – the most notable one being the “offset” fader within the Legato engine. This offers a whole new world of portamento transitions, from a full slide between two notes, to a more subtle glide. Using the offset function in combination with the speed fader brings and even wider range of options, especially when using MIDI controller data for automation inside your DAW. Both the high quality gear such as selected Neumann microphones and the musician’s significant performances drive the sound aesthetics. Unlike the award-winning Chris Hein – Horns, this library takes advantage of the renowned WDR Symphonic Orchestra. For this library, dry close mic’ing was an intentional decision. All instruments were recorded individually avoiding any crosstalk. Despite that CH Winds Compact incorporated the inevitable interaction of an orchestra. Therefore, the participating musicians used headphone monitoring, to complement each other, forming perfectly balanced ensembles. Consequently, time-dependent articulations such as Dynamic Expression achieve an especially coherent tone, allowing you to combine individual instruments for perfectly matched ensembles. 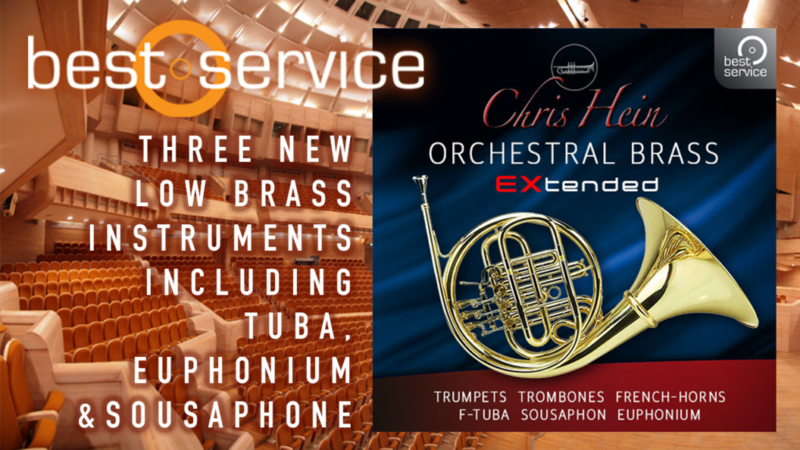 Chris Hein Orchestral Brass EXtended UPD – With the update from Chris Hein Orchestral Brass Complete to the Extended Version you get three additional low brass instruments plus 6 additional ensemble patches. Chris Hein Orchestral Brass EXtended UPG – With the upgrade from Chris Hein Orchestral Brass Compact the Extended Version you get three additional low brass instruments plus 6 additional ensemble patches.